With Will Bruin and Osvaldo Alonso on the bench, the Sounders will switch to a 4-1-4-1 formation against visiting Real Salt Lake. 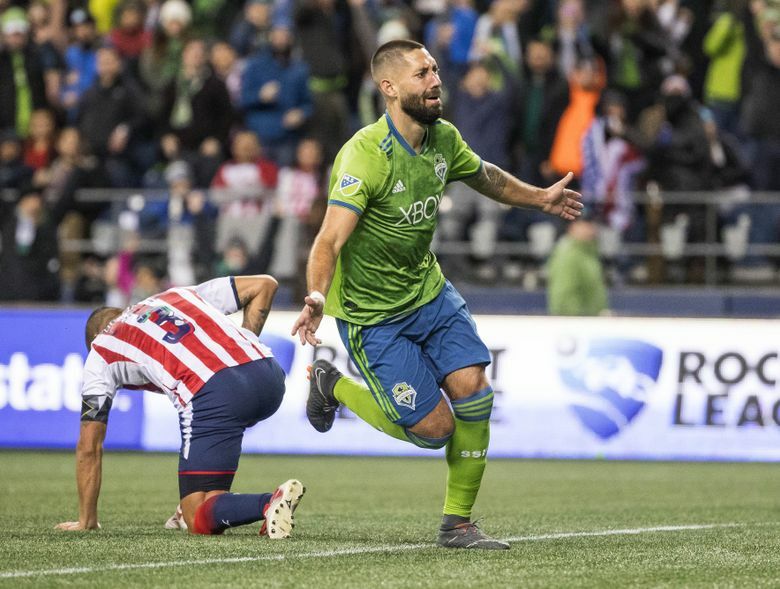 There had been some optimism brewing earlier in the week when forward Will Bruin and midfielder Osvaldo Alonso resumed training with the Sounders ahead of Saturday’s home match. But while both are getting better, they aren’t in the starting lineup or on the bench as Real Salt Lake heads into CenturyLink Field for the first leg of a home-and-away series this next week. The Sounders instead will roll out a new 4-1-4-1 formation in search of a badly needed home win. Clint Dempsey returns up top as the lone striker, with Handwalla Bwana on left wing, the Roldan brothers in the middle and Magnus Wolff Eikrem on right wing as part of the attacking midfield. Jordy Delem is the lone defensive midfielder while the four-man back line will feature Nouhou at left back, Kim Kee-hee and Chad Marshall in the middle with Kelvin Leerdam at right back. Should be interesting. RSL gives up a ton of goals, so if the Sounders ever plan to score again then Saturday might be their best chance.